The move exposed a foreman and others to potential harm when it was ripped out during refurbishment work. Redwood Contractors Ltd was in possession of a detailed asbestos survey that clearly identified the location of the asbestos wall panels inside the building in Wokingham. But the survey wasn’t shared with the team on the ground. So when a foreman mistook the AIB for asbestos cement – a lower risk material – it was removed without adequate control measures and protective equipment. 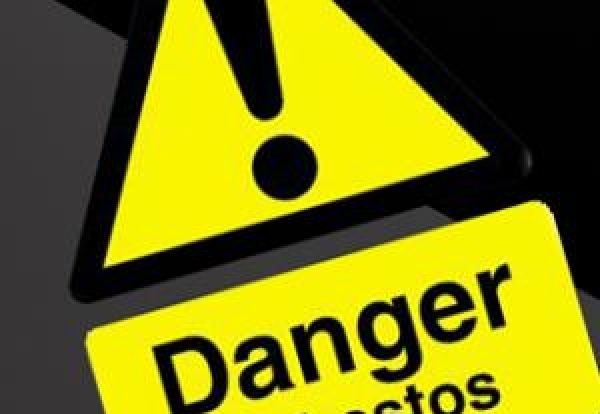 Reading Magistrates’ Court heard that AIB should only be removed by a licensed asbestos contractor because of the risk of exposure to the dangerous fibres contained within it. HSE established that the site foreman wasn’t provided with any documentation or other information about the panels. This was despite an asbestos survey being completed just two months prior to the work starting. Because the foreman was unaware that the panels were made from AIB, the wrong kind of control measures were in place when he removed them. He and others could therefore have unwittingly inhaled asbestos fibres, which can cause terminal health conditions. Redwood Contractors Ltd, of London, SW11, was fined a total of £10,000 and ordered to pay £2,857 in costs after pleading guilty to two separate safety breaches. After the hearing, HSE inspector Karen Morris commented: “It is disappointing that the foreman and others were needlessly put at risk simply because the asbestos survey for the warehouse wasn’t supplied to the team on the ground, or the location of the AIB relayed. “What is the point of having a suitable survey in hand if you aren’t going to act on it and share vital information with those who need to know? “Sadly, breakdowns in communication of this kind are all too common, but that doesn’t excuse Redwood Contractors from failing to do more. “The company is guilty of a clear oversight that may have compromised the future health and wellbeing of its workers.